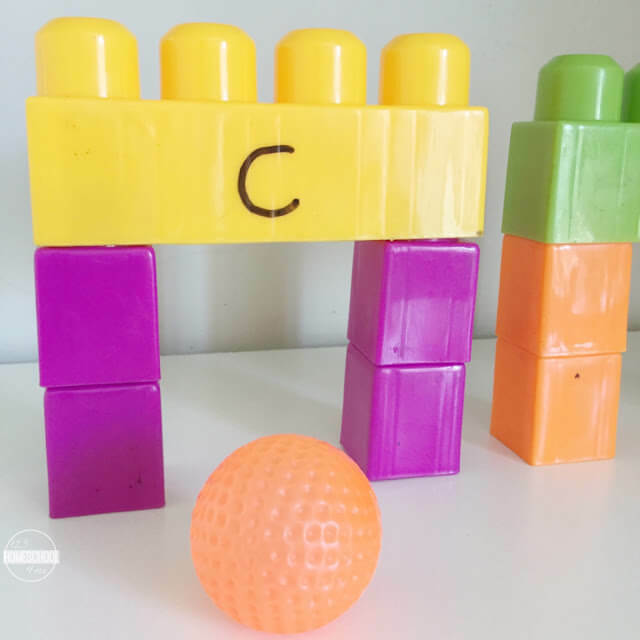 This fun CVC Words Block Bridges Activity uses blocks, the large kind like Duplo and a small ball. 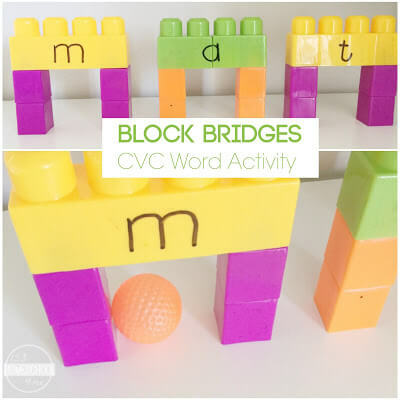 Build some bridges and work on blending, segmenting and phoneme manipulation of CVC words while having fun! Here are some more fun CVC Words, word families, and learning sounds activities that are effective and fun at teaching Prek, Kindergarten, and first grade kids. 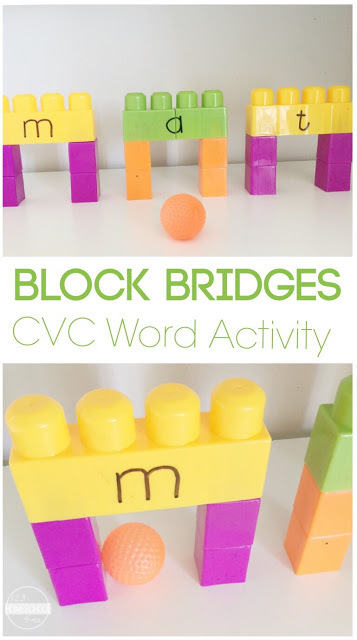 Young learners will love this fun, hands on CVC Words Block Bridges Activity! This is such great early reading practice. Build three bridges, high enough so that your ball will fit through. Write the first CVC word on the bridges letter by letter. 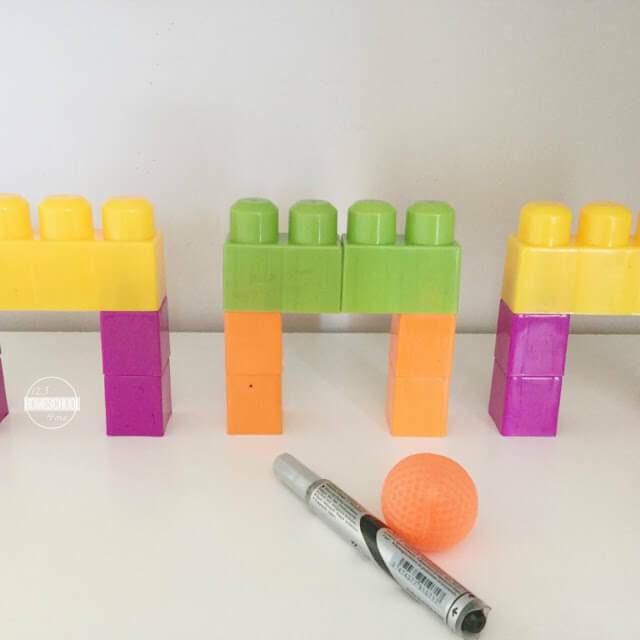 Segmenting – Roll the ball under each bridge and say the sound. Blending – Now say the word, putting all the sounds together. What does the sounds on the bridges spell all together? m-a-t, mat. 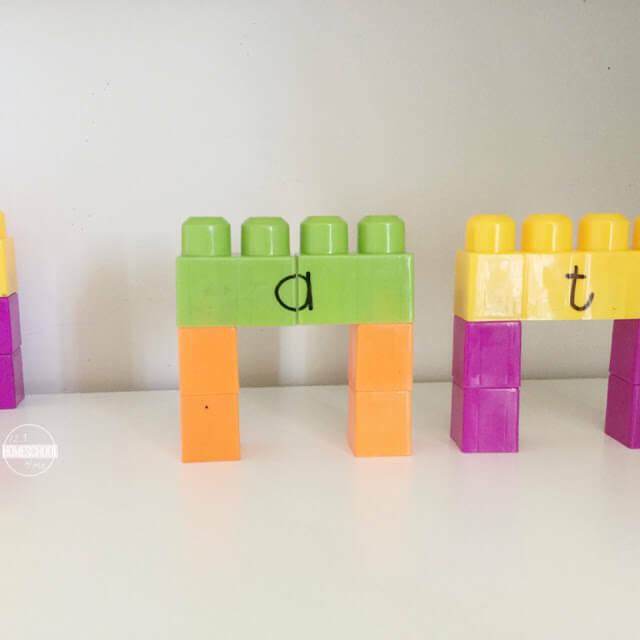 Phoneme manipulation – Teacher changes a letter on a bridge. What does it say now? (You could change beginning, middle or ending sounds.) Roll the ball through the bridge that changed sounds. Roll the ball through the bridge that says “m”. Roll the ball through the bridge with the vowel “a”. Roll the ball through the bridge that says “t”. If I say “at”, which sound did I NOT say? Roll the ball through that bridge etc. You can change the words as often as you like. For oder kids one could add more bridges to work on longer words. A simple activity that works well to practice so many reading skills. 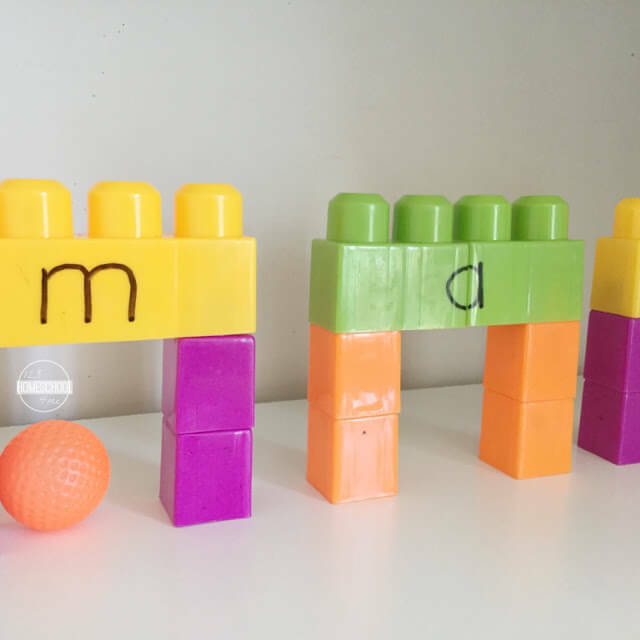 The fact that it uses blocks and a ball, just makes it fun!